In case you missed the amazing American Academy of Pediatrics National Conference and Exhibition in October, here’s your chance to wander the exhibition hall with Dr Schuman as he previews the best and brightest technology for the pediatric practice. In October 2014, I presented a workshop on office technology at the American Academy of Pediatrics (AAP) National Conference and Exhibition (NCE). At this year’s NCE, with the support of the AAP’s Sections on Telehealth Care and Advances in Therapeutics and Technology, I conducted 2 workshops. In this article, I describe my experience visiting vendors in the NCE’s exhibit hall and detail some of the best tech presented at this year’s workshops. I learn about new and exciting technologies by doing a lot of reading and searching the Internet for news and information, and then contacting companies who have new products in the pipeline. Only a select few I discuss in these Peds v2.0 articles, and that is why the December article is always titled “Best tech for pediatrics.” I really enjoy wandering the NCE exhibit hall. From the perspective of a “techie,” this is a very exciting experience—not unlike putting a kid in a candy store. On my first day at the exhibit hall, I made a point of visiting vendors I had contacted previously to go over the nuances of their forthcoming devices. My first discussion was with representatives from TytoCare (Netanya, Israel). Next year TytoCare will distribute an innovative device called the TytoPro, a handheld gadget with a display screen that is like a Swiss army knife of medical equipment. The TytoPro takes the place of your otoscope, stethoscope, tongue blade, and thermometer. Images from the ear canal and throat can be captured and integrated into your electronic health record (EHR) note. 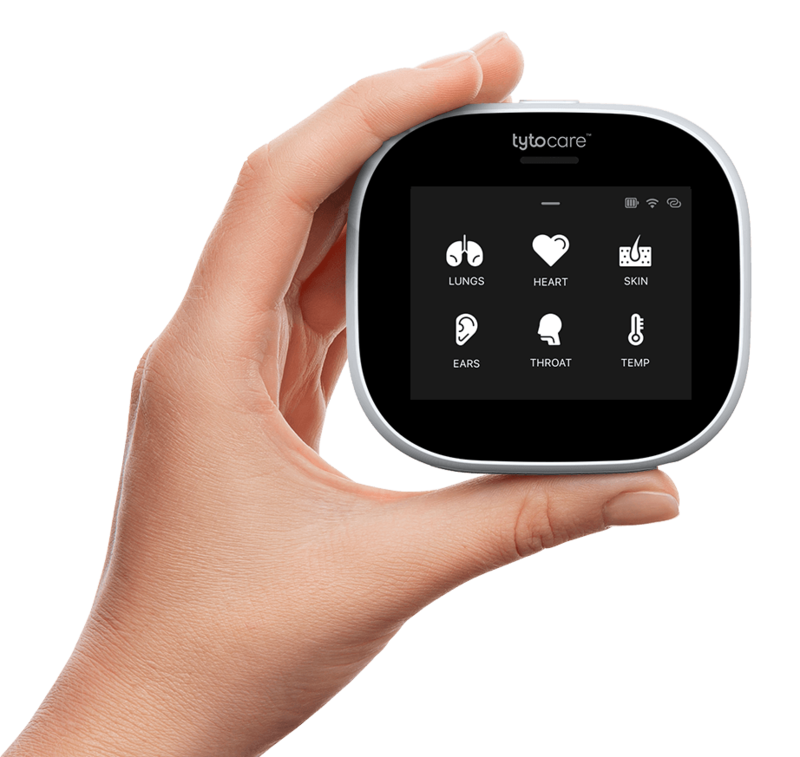 TytoCare is also introducing an affordable home version of the device that will facilitate telehealth visits. The home version will enable parents to transmit images from their child’s throat and ears along with heart and lung sounds to their physician via a cloud-based portal.